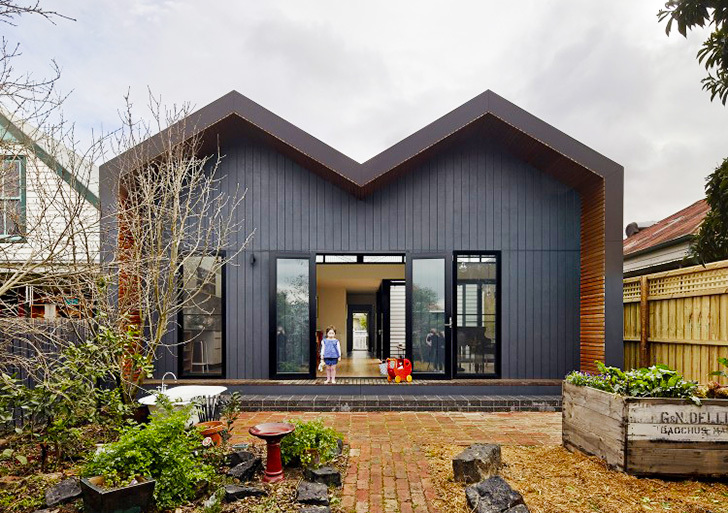 Make Architecture's M House is a small home in Melbourne, Australia, that explores how modern renovations can improve the way we live in our homes. 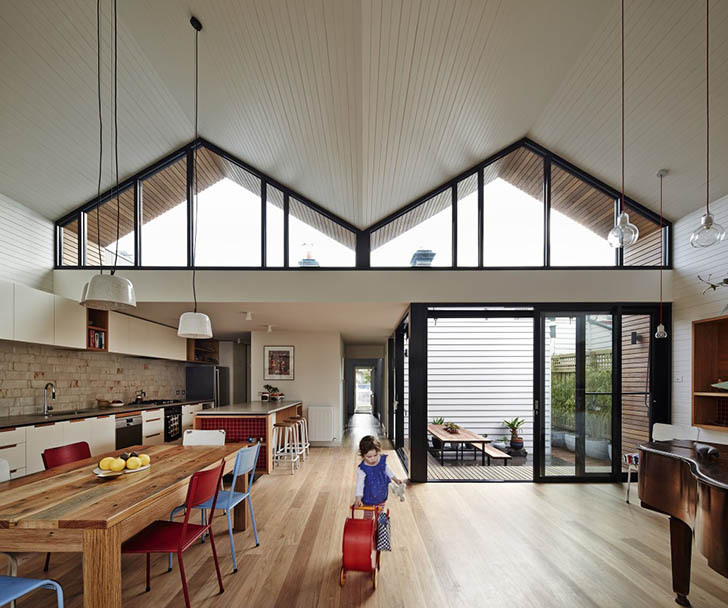 A window-filled addition to the home allows light to fill the space, while the new M-shaped roof (from which the home derives its name) creates expansive ceilings to further the feel of openness. The residence emphasizes northern sunlight using an window-filled addition so that the home receives plenty of natural light even in the winter. The addition was kept small to maximize the outdoor space. To help minimize summer sun, the home uses deep timber eaves, reducing the amount of heating and cooling necessary. The new spaces provides an open communal area which encompasses a living area and the kitchen so that the family can share time together. The front of the home was left untouched, allowing it to blend in with the neighborhood. The front of the home was left untouched, allowing it to blend in with the neighborhood. The addition was kept small to maximize the outdoor space. The new spaces provides an open communal area which encompasses a living area and the kitchen so that the family can share time together. The bathroom was created with a sunken bathtub that includes hand-made tiles. To help minimize summer sun, the home uses deep timber eaves, reducing the amount of heating and cooling necessary. The renovation creates a light-filled space for the family to enjoy. retail of the old and new home. Cutaway elevation of the home.